Ever thought of projecting your internal thoughts visibly without looking too emotionally needy? 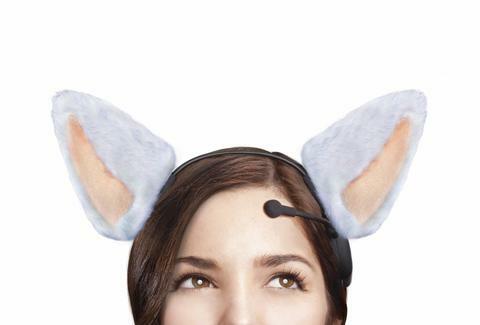 Well that’s where the makers of Necomimi Brainwave Cat Ears step in and conceive a product that allows you to express your hubris in cat-like ways. Just pick your ears, throw on the headset, bend the sensor to your forehead, and attach the clip to your ear and you’ll be as transparent as Garfield. Talk about the cat’s meow! Ears come in “Minky Brown,” “Jungle Leopard,” and “Devilish Horns,” but we’re holding out hope that they’ll soon roll out the Spock attachment. The ears will droop down if you’re feeling relaxed, flip up if you’re highly focused, and will shake up and down, spin, and double in size during your weekly viewing of the Pamela Anderson-Tommy Lee “boating” video.